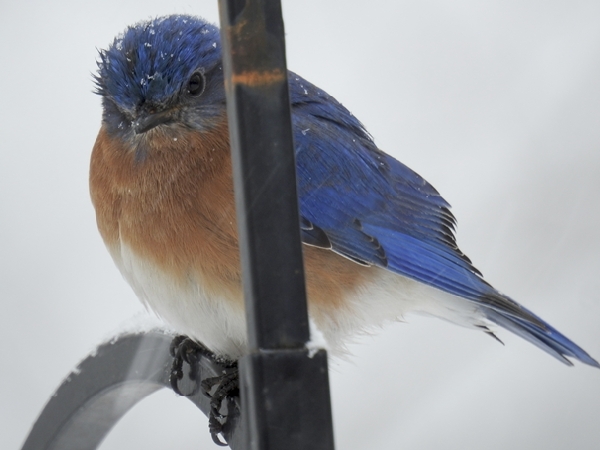 We’ve lived in our house for 34 years now and in all that time, I’ve only seen Eastern Bluebirds once or twice and they’ve never stayed long . . . until now. For the past few weeks, I’ve been seeing two males and a female pop up at the feeders periodically. Most days I see them for at least a few minutes. I’m trying to encourage them to stay. This post will be a bit different than my usual posts. Instead of sharing everything I’ve learned afterwards, I’m going to offer a real time journal of what happens along the way. Hopefully by the end of it I’ll be able to report that I’ve succeeded in enticing a pair to stay and nest in the yard. I hope you’ll take the journey with me. 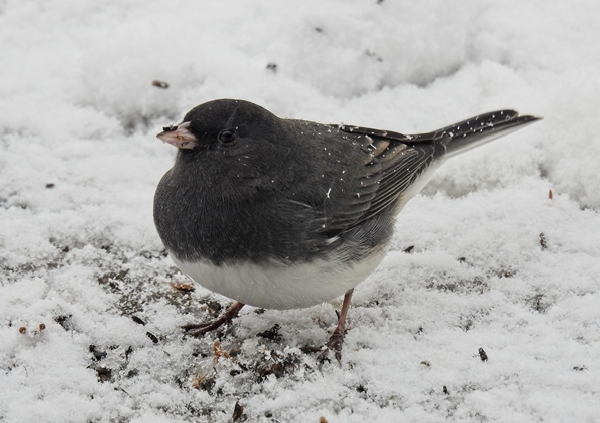 When I was a kid, we called Dark-Eyed Juncos “snow birds.” Until I started bird watching later in life, I thought that was their actual name. To us, seeing a snow bird was a sign. It meant that it was going to snow, leading to snowmen, snow forts, saucering down the side hill and a day off of school. I suspect this childhood joy may still be a little part of the reason that I still love these little birds today. Even today, when I know that birds don’t cause the weather, I still feel joy when I see the first of the juncos and their winter pals, the White-Throated Sparrows arrive in mid-fall. 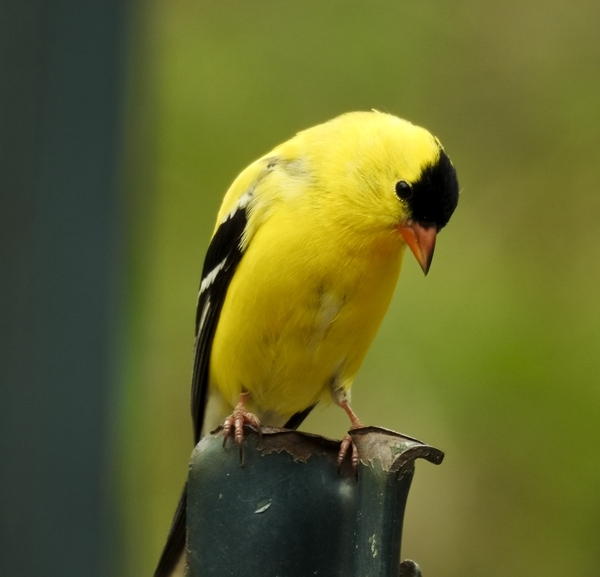 American Goldfinches are regulars in our Maryland yard. With the exception of a couple times a year when they mysteriously disappear for a few days, they are a daily presence. Typically there are over thirty of them flitting around the various feeders, sipping water from the birdbaths or up in the trees from morning to mid-afternoon. But it wasn’t always this way. It took a bit of time and effort to gain their interest and loyalty to the yard. As with all birds that will eat at feeders, you need to provide the food they like in a location and environment that works for them.